Bees are friendly little creatures which help in the pollination of crops but what if there appears a type of bee that does more than that? 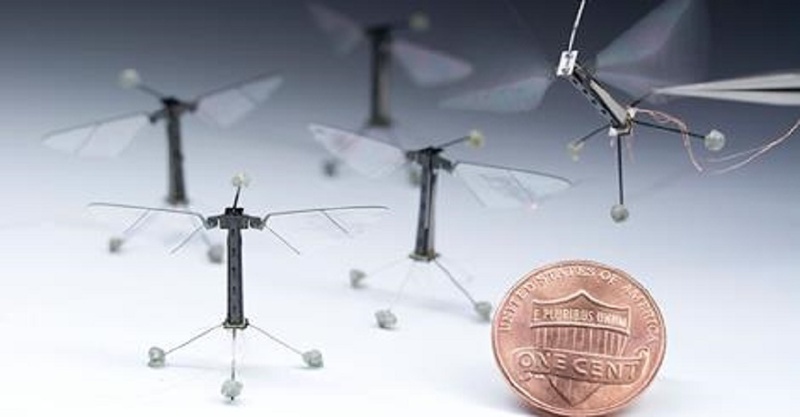 Introducing the RoboBee, an insect inspired robot which could someday be used both for agricultural and disaster relief efforts! Currently, researchers are amassing all their knowledge in successfully developing the said biologically inspired robot. These robots are bound to have mechanical eyes which shoots laser as an aid for its flight. This laser-based version of radar was derived from the technology called LIDAR (Light Detection And Ranging) which involves firing of invisible laser pulses instead of the radio waves used in radar. Sensors measure how long it takes reflected light to travel, which makes it possible to calculate the distance, size and shape of objects. Should this RoboBee be released, it would indeed contribute much to the mapping and locating of disaster victims and to further agricultural innovation. Want to know more about this awesome device? Follow this Link!